Receive One-on-One Expert Advice for up to One Full Hour by Three of the Top Nurse Injectors in Arizona who have Injected Over ,000 Satisfied Customers Without a Major Issue at the Nation's Premier Spa with Over 5,000 5-Star Reviews! We are proud to announce the launch of the newest FDA approved Neurotoxin; Xeomin. 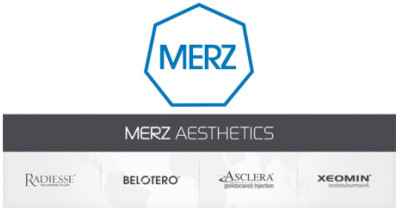 This is Merz Aesthetic Corporation's Botox® /Dysport alternative. 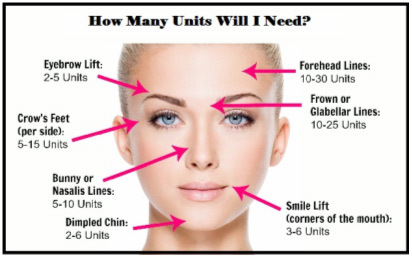 You use the exact same number of unit of Xeomin as you would Botox® to achieve the same results. We are excited to be one of the few places in the Valley to be able to offer our Customers all three of the approved Neurotoxins on the market today. XEOMIN® (incobotulinumtoxinA) from Beautify Spa in Scottsdale, Arizona is a prescription medicine that is injected into muscles and used to temporarily improve the look of moderate to severe frown lines between the eyebrows (Glabellar lines) in adults. Xeomin, Botox® and Dysport from Beautify Spa Med Spa in Scottsdale, Arizona are all FDA approved and aesthetically designed to smooth and diminish wrinkles. The most common areas treated are crow's feet, forehead, frown lines around the eye area and brow lifts. However, other areas becoming more popular with patients are the smoker's lines around the lips, cleavage wrinkling, and even underarm sweating. Xeomin is the most similar to Botox® when measuring units to units. Dysport requires 2.5 times more units at a lower cost per unit. Both Botox® and Xeomin require up to two weeks to see the full result of the treatment. Whereas Dysport has a much quicker onset for those patients wanting faster results. All three Neurotoxins on the market can last from three to six months per treatment. XEOMIN® in Aesthetics: How Does it Work? When you squint or frown, the muscles between your brows contract, causing the skin to furrow and fold. These lines that occur due to facial mimics are referred to as dynamic lines. Over time, as your skin ages and loses some of its elasticity, these repeated contractions can cause persistent frown lines. 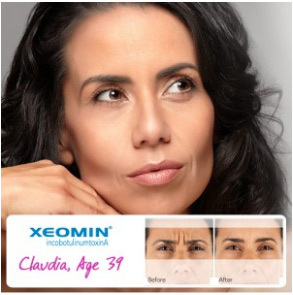 Botulinum toxin type A - the active ingredient in XEOMIN® - is used in facial aesthetic treatment to treat dynamic lines like Glabellar frown lines. It acts on nerve endings in muscles to prevent muscle fibers from contracting. By reducing these contractions, XEOMIN® can temporarily reduce the frown lines on your forehead between your eyes. XEOMIN® (incobotulinumtoxinA) for intramuscular use, was proven effective in two randomized, double-blind, multicenter, placebo-controlled clinical trials of more than 540 adult patients in the treatment of Glabellar frown lines. The average age of patients in the study was 46 years. Patients received 20 Units of XEOMIN® and were classified as responders if they had a 2-grade improvement on a 4-point scale as assessed by the physician and patient. Using these criteria, treatment success was higher with XEOMIN® than placebo on day 30 in both studies (60% and 48% vs. 0% for placebo in both studies). 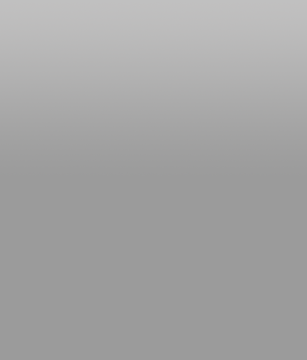 Based on these trials, XEOMIN® received FDA approval for aesthetic use in 2011. If you are an adult with moderate to severe Glabellar lines (frown lines between the eyes), XEOMIN® may be right for you. Talk to your doctor to discuss the benefits and risks of treatment. Do not take XEOMIN® if you are allergic to botulinum toxin or any of the other ingredients in XEOMIN®. You should also not take XEOMIN® if you have had an allergic reaction to any other botulinum toxin product or have a skin infection at the planned injection site. During treatment, which usually takes about 10-20 minutes, your doctor will inject XEOMIN® (incobotulinumtoxinA) for injection, for intramuscular use, into the muscles in your forehead that cause frown lines between your brows. No anesthesia is required; however, we may use a topical anesthetic or cold pack to reduce any discomfort. In clinical trials, some patients observed visible smoothing as early as 3-4 days after injection. The median first onset of effect was less than a week. The maximum effect occurred at 30 days. The typical duration of effect was up to 3 months in clinical trials but may last significantly longer or shorter in individual patients. For further information or to consult with one of our experts on which Neurotoxin would be best for you. Enroll in the Xperience Rewards Loyalty® Program and Receive Instant Savings! These saving can be realized immediately at checkout! Beautify Spa can assist you in setting up an account. 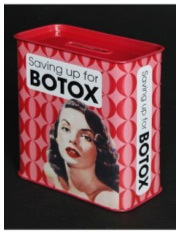 Click Here to Learn About our Botox® & Filler Education & Consultation. There are certain things we recommend adhering to for about a week prior to your procedure. These tips will help reduce bruising, bleeding, and swelling during and after the treatment. All pain relievers except Tylenol (acetaminophen): Avoid Aleve, Aspirin, Ibuprofen, Motrin, Naprosyn and even low dose baby aspirin (unless recommended by your Physician). Vitamin E and all multi-vitamins containing Vitamin E. Foods high in Vitamin E should also be avoided such as: sunflower seeds, dry roasted almonds, olives, papaya, spinach, arugula, broccoli, blueberries. Cinnamon and horseradish. Herbal remedies such as St. John's Wort, Ginkgo Biloba, Ginger Root, Fish Oil, etc. We recommend that you purchase Arnica tablets, which can be bought at Whole Foods, Sprouts or other health food and vitamin stores. Follow the instructions on the package; you can start as early as a few days before your procedure. We suggest that you take them at least the day before and the day of the treatment. You may also want to take them after. An alternative supplement to minimize bruising after the treatment is Bromelain (Pineapple extract). You can take 500mg twice a day for 3 days following a Treatment. You should begin taking Bromelain the day of your treatment, after the procedure has been completed. Bromelain can be taken in addition to or instead of Arnica tablets, though Bromelain should not be taken before the treatment, only after. You must be upright for the first hour after treatment. If you wish to read, make sure you bring the document, magazine, book, etc., up to eye level. Work the Xeomin into the muscles treated, i.e. forehead (raise and lower your eyebrows), frown (move brows in and out) and crow's feet (smile and relax) repeatedly. Do not wear a hat, baseball cap, visor or a headband as this will push the Xeomin down, resulting in a lower brow. Do not exercise for at least 48 hours after the treatment. Avoid cardio training such as elliptical, treadmill, biking and running. Avoid yoga and Pilates. You may do stationary weight training as long as your head remains still. If you wish to apply makeup post treatment, make sure you apply it upright on your forehead and downward on your crow's feet.